Diabetes In Cats. How to fill insulin syringes. Insulin is not this colour! I’ve just added some ink to an old bottle so that it would show up in the pictures. 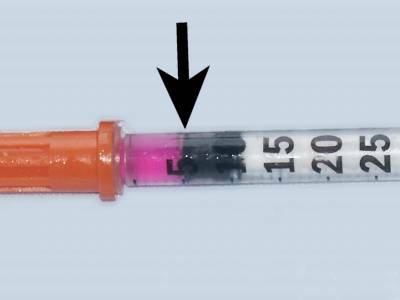 Just to remove any doubts you may have, insulin is measured from the end of the plunger closest to the needle itself. This picture below shows five units of insulin. From what I’ve read there seems to be a lot of debate about how long a bottle of insulin lasts. I tend to get a new bottle every three months, which seems to be a happy medium. When switching from an old to a new bottle of insulin, make injections from the new bottle over a weekend, or when you’ll be around to keep an eye on your cat. This is just in case the old insulin wasn’t at peak effectiveness and the new, strong insulin causes a hypo episode in your cat. Although the syringes are supposed to be used only once, I have always used them twice before discarding them. Tatty is on two shots a day and using the same syringe made it easier to remember if she’d had her shot or not. She has never suffered any ill effects from using the same needle a second time. 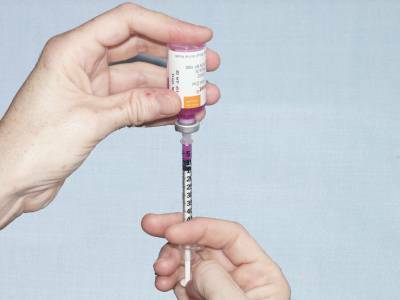 As insulin is a mixture made up of particles suspended in liquid, you first need to mix it before filling your syringe. Do this by gently rolling the bottle back and forth between your hands, or by spinning it round between your thumb and middle finger. It doesn’t really matter how you mix it, what is important is that you don’t shake it. 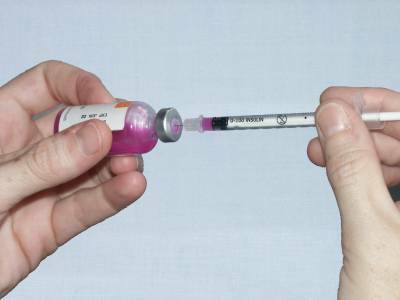 Shaking insulin will introduce tiny bubbles into the mixture, which means you won’t get an accurate amount of insulin in the syringe. Get your syringe out of its package and pull the plunger back to the amount of insulin you wish to draw out. I use my thumb nail to pull the plunger back. 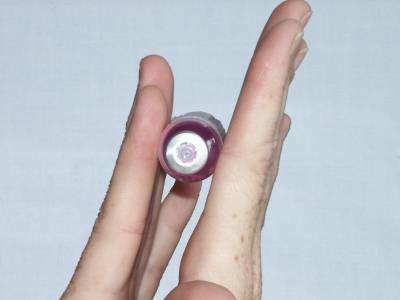 Hold the insulin bottle the right way up and push the syringe into the rubber top. 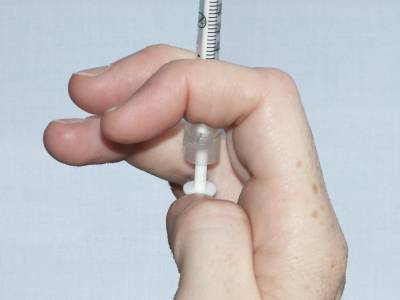 Push the syringe plunger, so that the air in the syringe goes into the air of the insulin bottle. Invert the whole lot, and slowly pull the plunger again back to the amount of insulin you need. If you find you’ve got an air bubble, gently tap the syringe. If that doesn’t remove the bubble, quickly push the plunger to rush all the insulin back into the bottle, and again gently pull the plunger back to the required insulin amount. Turn everything back the right way up, and remove the syringe from the bottle. Recap the insulin syringe and pop the insulin bottle back in the fridge. 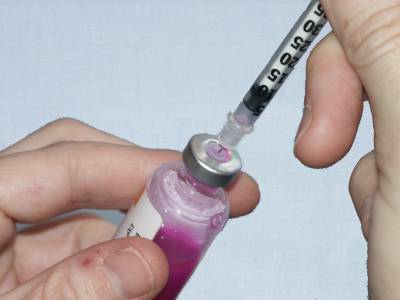 Don’t inject straight away - cold insulin stings!